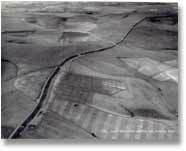 Maes Knoll is an Iron Age hillfort, triangular or rather more Africa-shaped when viewed from the air. 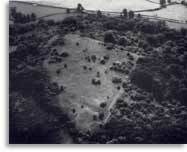 According to Fox and Fox, the hill top had been ploughed in 1956-7, but the land was turning into wasteland and going back to shrubs in 1960. 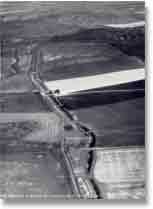 This is the situation which is represented by the air-photo. 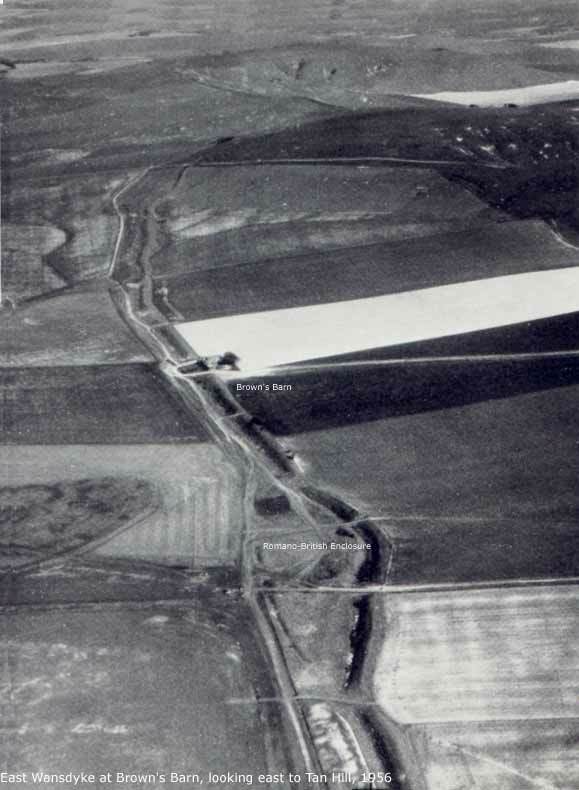 In this picture, East Wansdyke can be seen here at Morgan's Hill, separating from the Roman Road that veers off to the left. In the middle distance lies Shepherds' Shore. 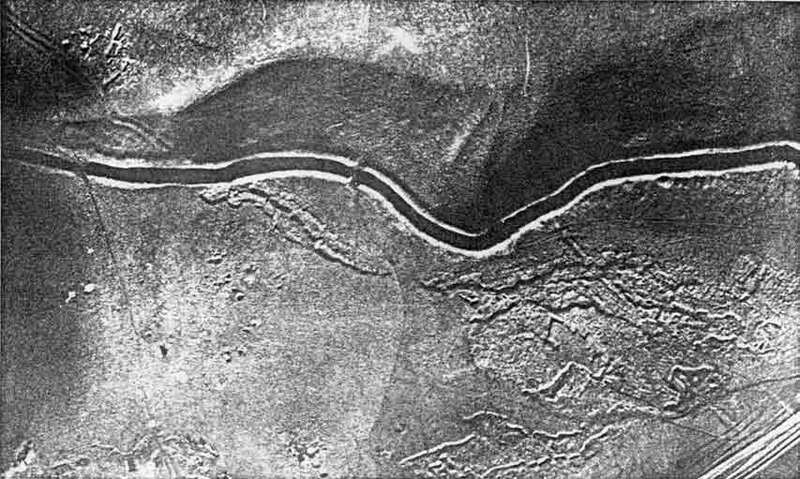 Pitt-Rivers dug a section through East Wansdyke in 1889 and found Romano-British pottery below Wansdyke, thereby establishing its Late or Sub-Roman date. 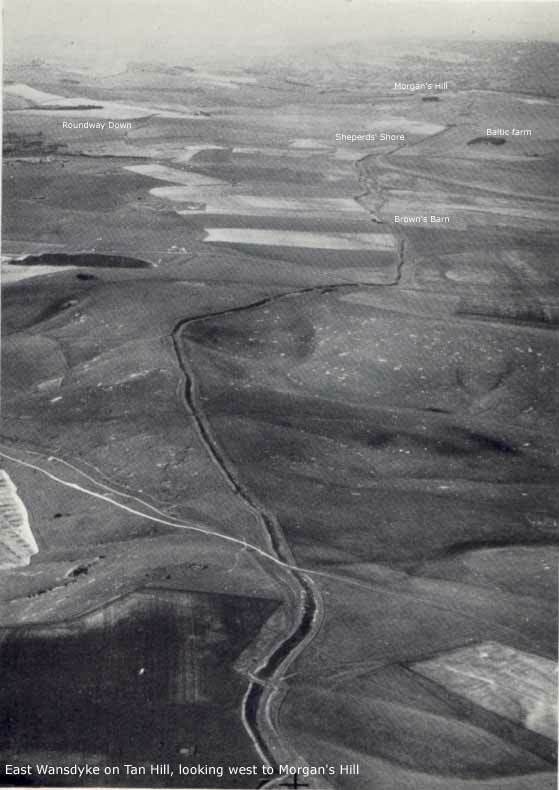 Wansdyke has by now regained a full view to the north and east, as it reaches Old Shepherds Shore, as we can see in the 1956 picture. 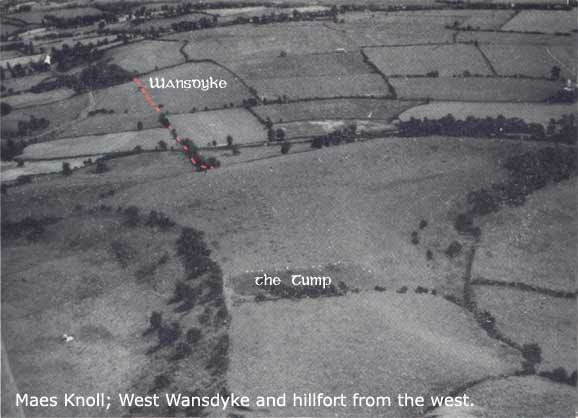 East Wansdyke at Brown's Barn, looking east to Bishop's Canning Down. 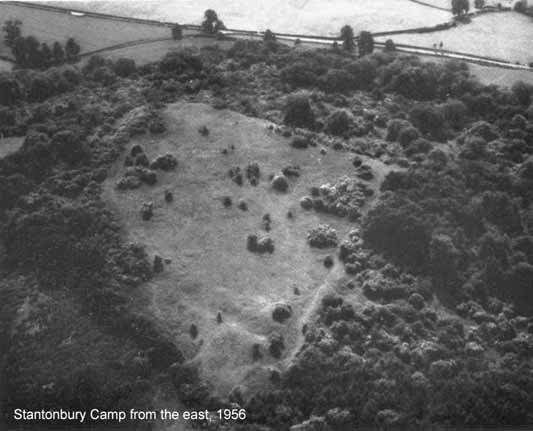 In the middle distance you can see the Romano-British enclosure. 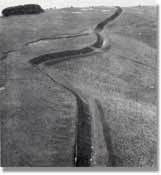 Another air shot of East Wansdyke at Brown's Barn, looking east to Bishop's Canning Down. 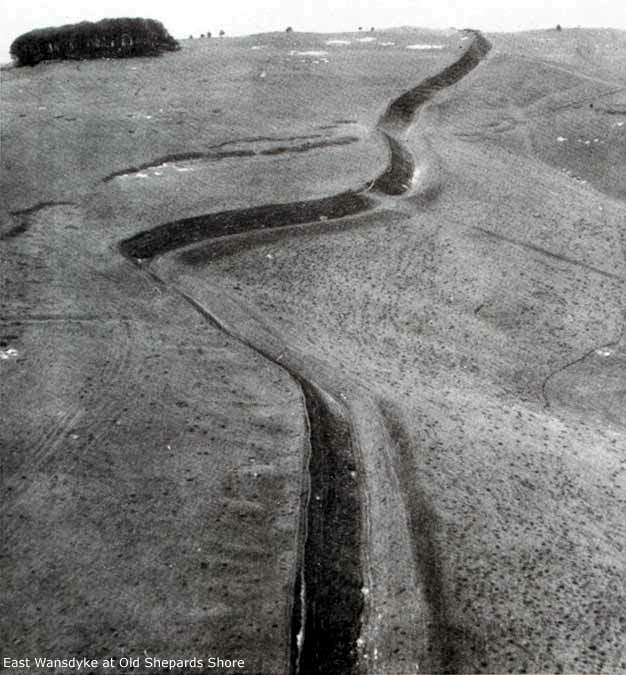 East Wansdyke at Tan Hill, looking west to Morgan's Hill. 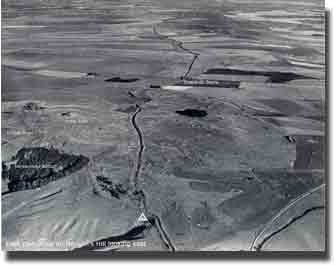 Left is Roundway Down, where the famous 1643 battle was fought. 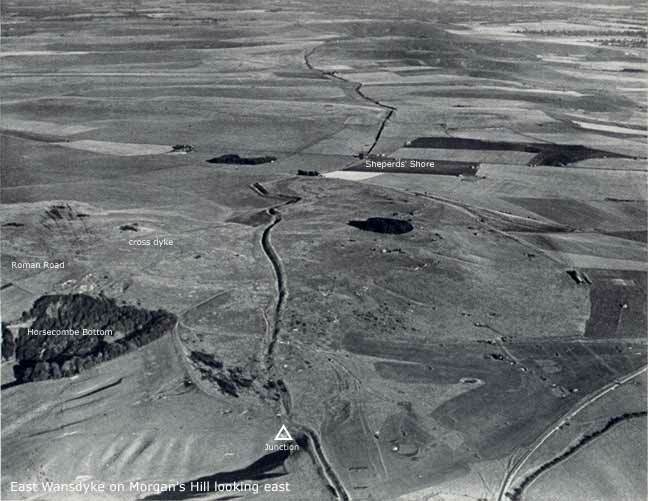 East Wansdyke at Milk Hill, looking west to Tan Hill. 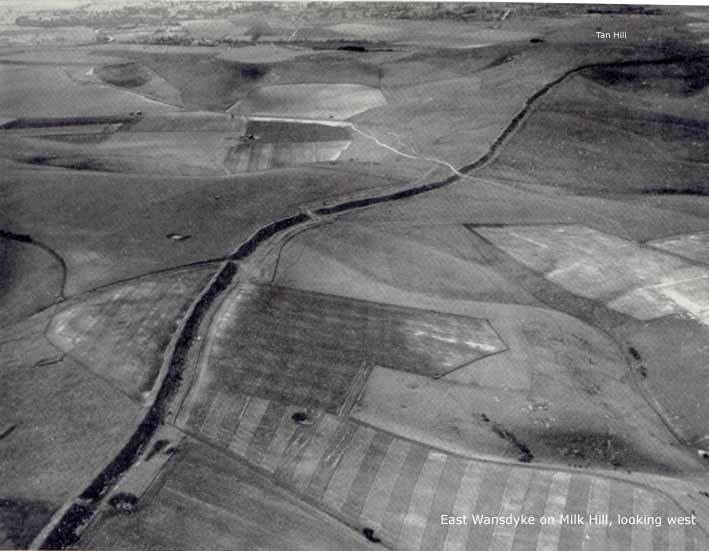 Wansdyke is running across the southern escarpment of the Marlborough Downs, with the Vale of Pewsey in the background. 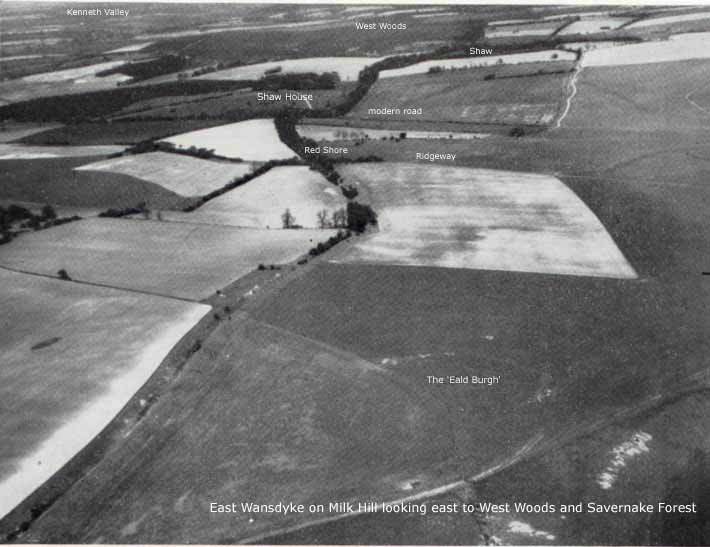 East Wansdyke at Milk Hill, looking east to West Woods and Savernake Forest. 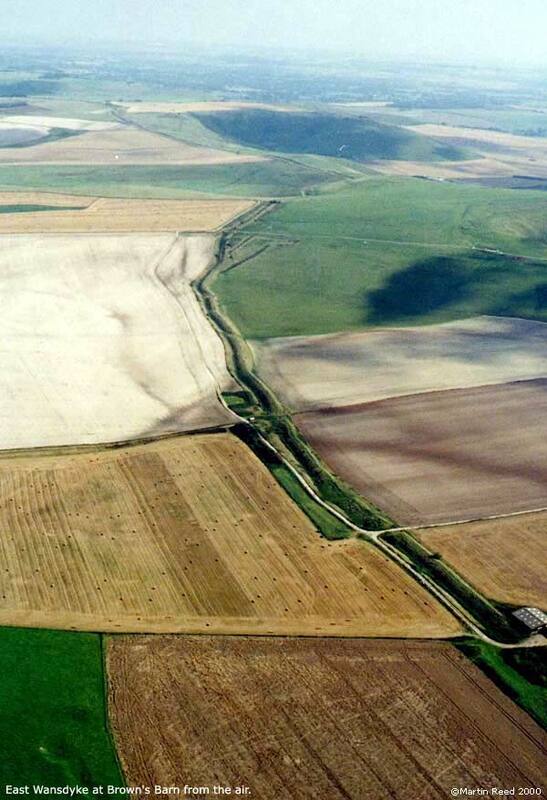 Clearly visible is Red Shore, where the ancient Ridgeway passes through Wansdyke, with the modern road beyond. 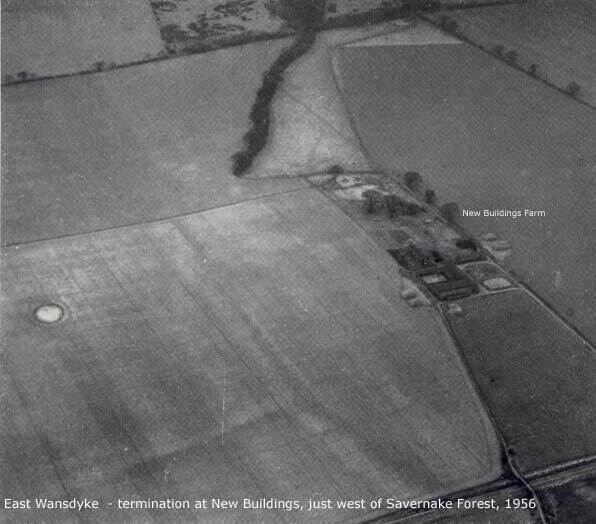 The termination of East Wansdyke in a field at New Buildings Farm, 1956.